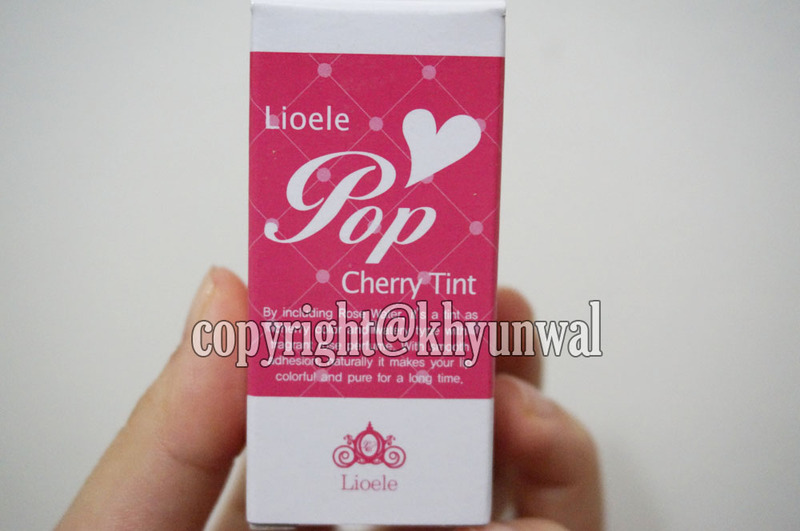 Today's review is going to be a lip tint from Lioele called, Pop Tint. I never have tried water type tint before, so I am really excited about it!! As you can see from the above picture, Cherry has nice red tone, while Orange has warm orange tones which pops out. And Pinky has lovely baby pink tone. 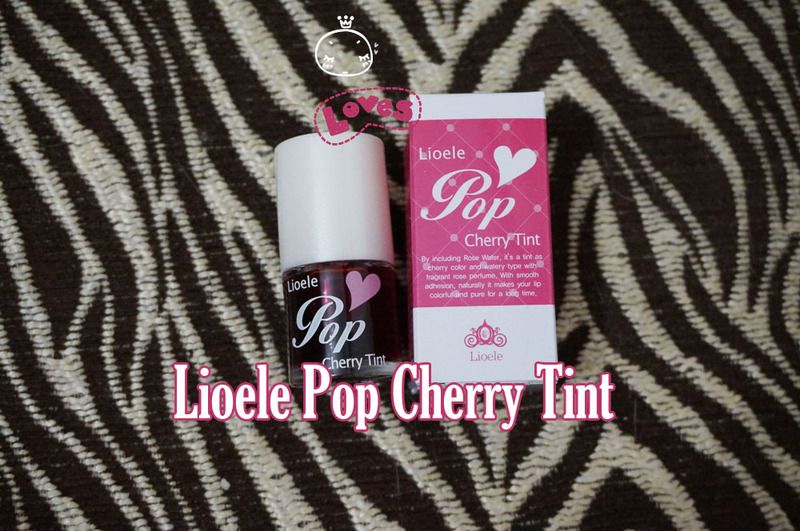 But since I mainly use red color, I have purchased Cherry Tint. 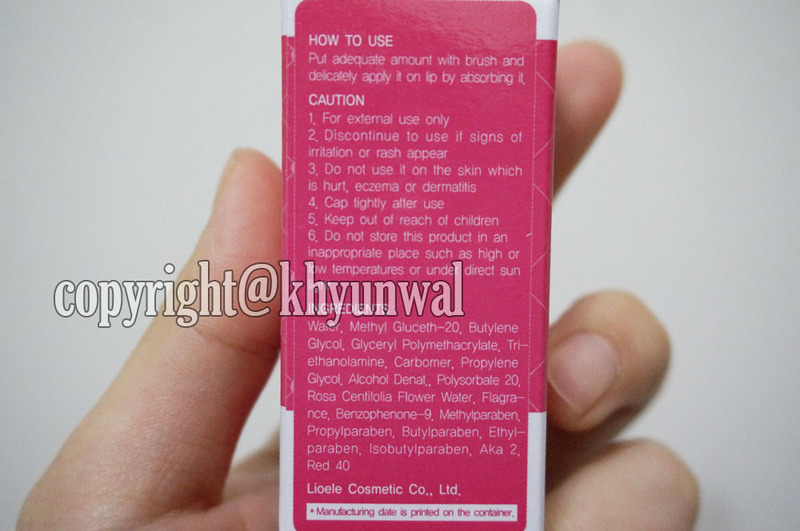 Oh and although this is "Lip Tint" you can also use this product as blusher! Because this is water tint, it doesn't necessarily have to be used for lips only. It's consistency allows for it to be used as a blusher as well, cause it blends to the skin lot better than any creamy or gel type lip tints. 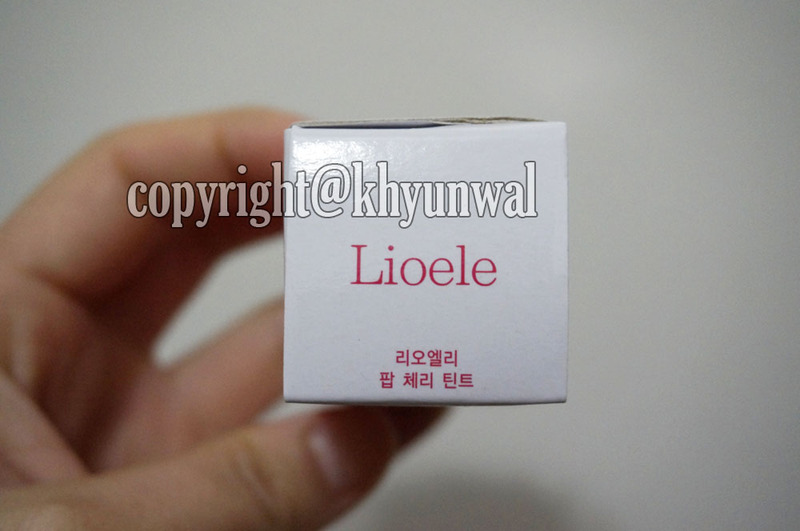 I really love the packaging of Lioele, ever since the eyeshadow stick packaging I've seen. They have descriptions in English, to help those Non-Korean speakers to know what the description is saying. 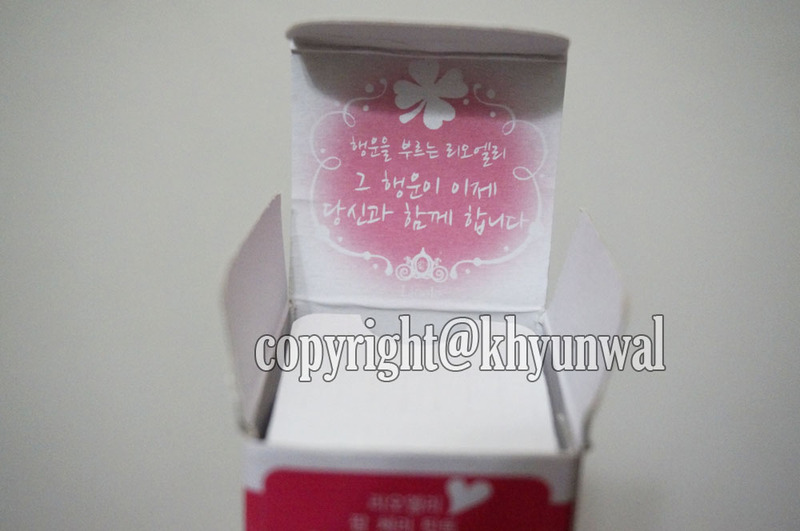 I also liked how they have cute phrase at the top of the box, which you will see when you open the box. It is saying "Lioele which brings Luck. Now that Luck is with you"
I really like how they package it the way that will prevent the bottle from breaking. This product is actually glass bottle, so for them to wrapping another card board around the bottle makes it safe. 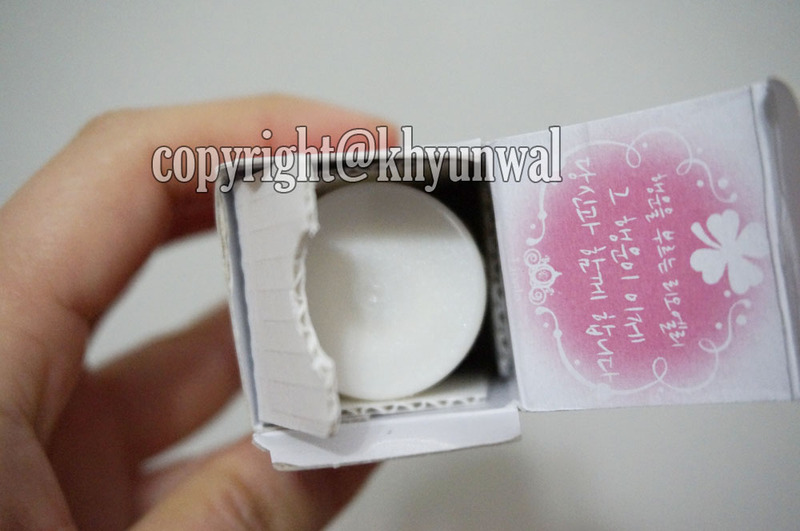 The product is really small and easy to carry around. I really like how this is made out of glass, because they are putting that much consideration of their package. 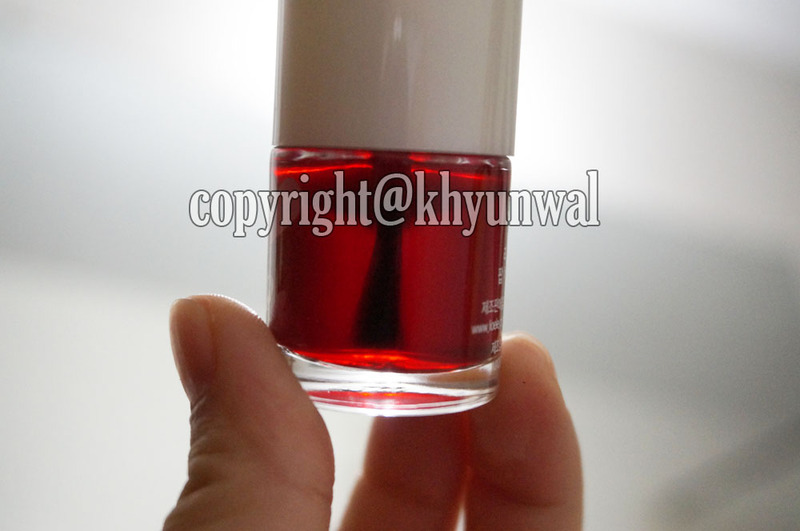 This tint has nice red color to it, and since its glass bottle, you can see how much of the product is in there. I really like being able to see how much product is left if I use them frequently. 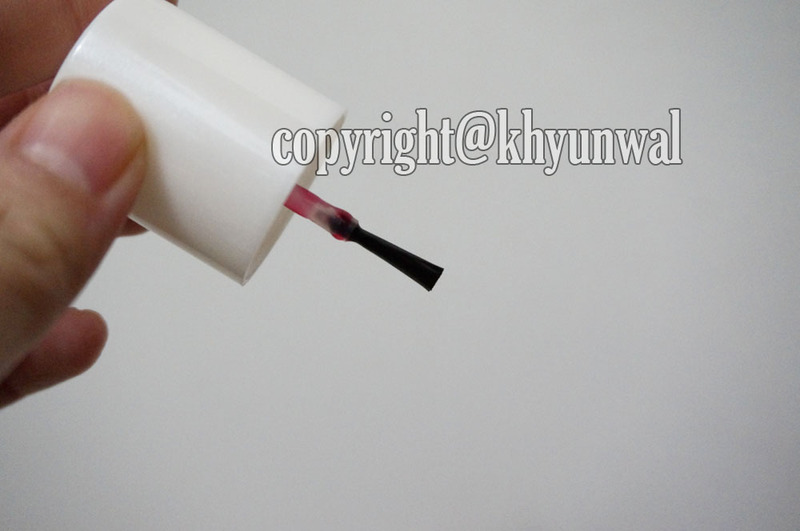 For this tint, the applicator is actually brush type. I think it works really well considering the texture of the tint itself. Blooming Pop Tint is very watery, especially Cherry one. So having brush type applicator allows you to have better control of how much product gets on to your lips. because I didn't really come across any problem when I was carrying this product around in my make-up bag. 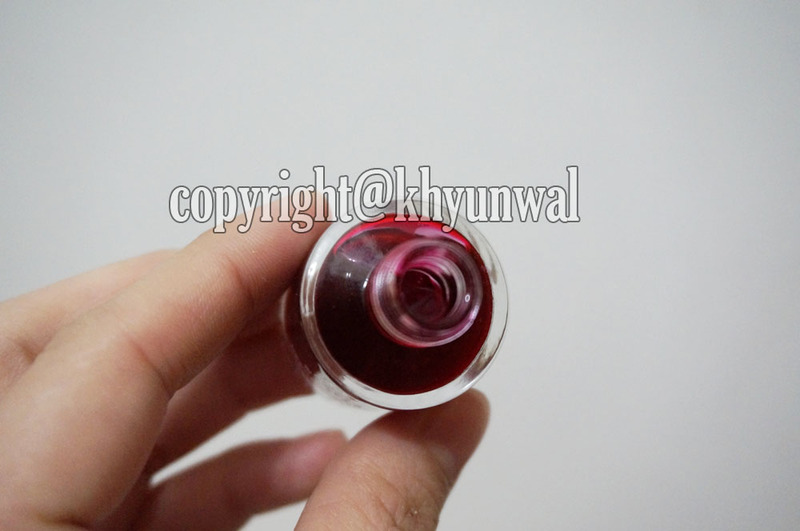 Also when you open the bottle, you will smell nice rose scent! I really like the smell of it, it calms me down. Despite the fact that this is water type tint, the color is very vivid even when you apply it for one time. 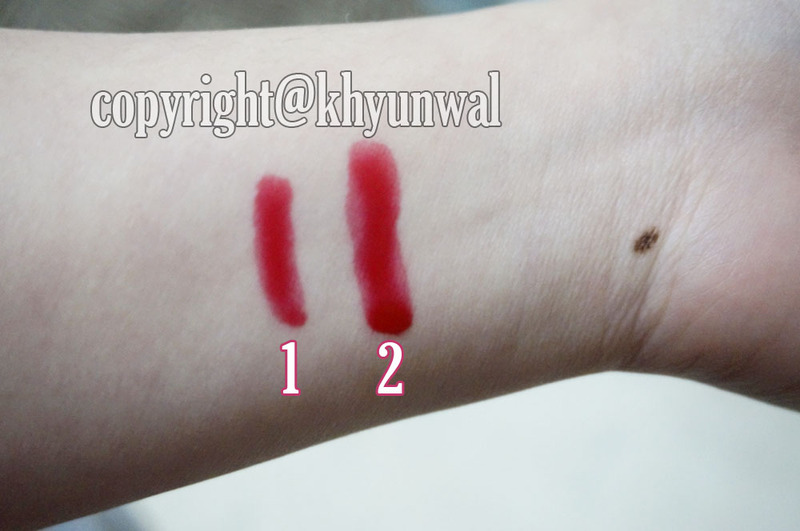 But I also applied twice just to see if there was any difference in how deep the color will be. Now to test out how the color sticks on the skin itself, I wiped it off with a tissue. 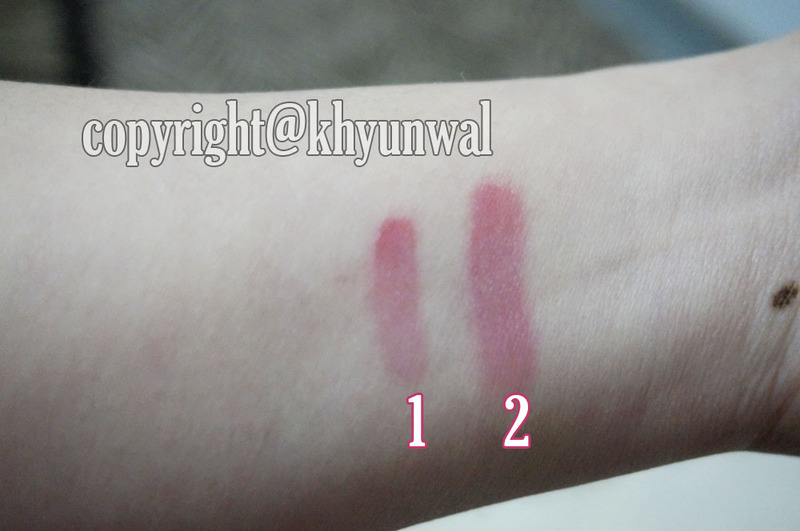 As you can see even when the product is wiped off, you can see the color stains your skin really well. Which means the color will stay on for a long time. I get frustrated with some lip tints or any lip colors, cause you have to apply them several times through out the day, cause color fades after awhile. With this product you don't have to worry about that.